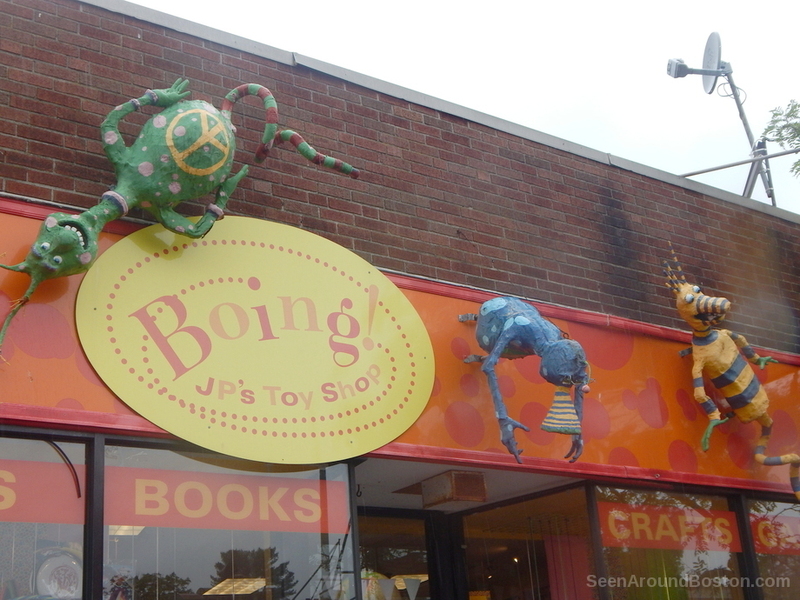 3-d art installation on the sign at this shop on Centre Street offering unique toys, games, puzzles, and puppets. 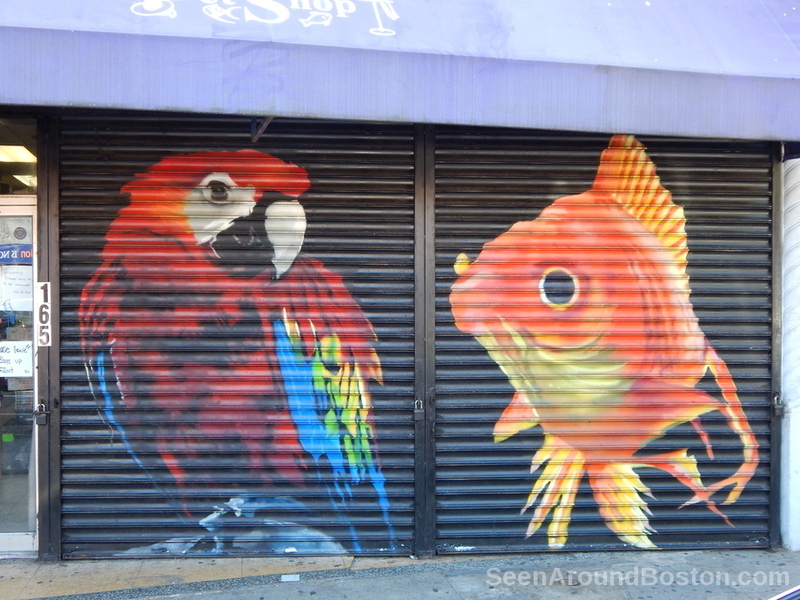 A parrot and a goldfish adorn this painted steel grate on The Pet Shop’s storefront. Location: 165 Harvard Avenue, Allston.